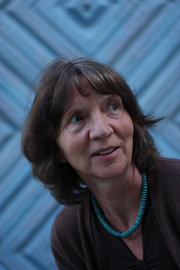 Aleida Assmann is Professor emeritus in English Literature at the University of Konstanz. She has been Visiting Professor at Princeton (2001), Yale (2002, 2003 and 2005) as well as other universities and has received numerous prizes. Among her recent publications in the field of memory studies are Formen des Vergessens (Wallstein, 2016), Shadows of Trauma: Memory and the Politics of Postwar Identity (Fordham University Press, 2015) and Das neue Unbehagen an der Erinnerungskultur: Eine Intervention (C. H. Beck, 2013). An important earlier contribution to the field of memory studies, Erinnerungsräume: Formen und Wandlungen des kulturellen Gedächtnisses (C. H. Beck, 1999), has also been translated into English, as Cultural Memory and Western Civilization: Functions, Media, Archives (Cambridge University Press, 2011). 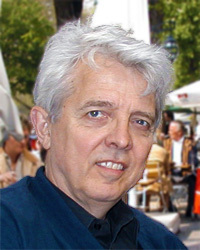 Andreas Huyssen is the Villard Professor of German and Comparative Literature at Columbia University, New York. Before joining Columbia, he taught at the University of Wisconsin-Milwaukee from 1971 until 1986. He served as founding director of the Center for Comparative Literature and Society (1998-2003). He is one of the founding editors of New German Critique and is on the editorial board of various journals. Among his publications in the field of memory studies are William Kentridge, Nalini Malani: The Shadow Play as Medium of Memory (Charta, 2013), Present Pasts: Urban Palimpsests and the Politics of Memory (Stanford University Press, 2003) and Twilight Memories: Marking Time in a Culture of Amnesia (Routledge, 1995). Anna Reading is Professor of Culture and Creative Industries at King’s College London. She is also a journalist and playwright. Before joining King’s College, she was a researcher at the University of Westminster (1992-1995) and a Lecturer in the Department of English Literature at the University of Lodz (1988-1989). She directed the Centre for Media and Culture Research, which she founded, at London South Bank University from 2009 to 2011 and was a member of the Institute of Culture and Society at the University of Western Sydney from 2010 to 2012. Among her recent publications in the field of memory studies are Gender and Memory in the Digital Age (Palgrave, 2016), her co-edited volume Save as… Digital Memories (Palgrave, 2009) with Joanne Garde-Hansen and Andrew Hoskins, and The Social Inheritance of the Holocaust: Gender, Culture and Memory (Palgrave, 2002). Each of the three days of the summer school will start with a keynote lecture, followed by sessions consisting of three graduate student papers, responses and extensive Q&A. Participants are expected to be in attendance for the full three days of the summer school. In order to foster incisive and targeted feedback, all accepted papers will be pre-circulated among the participants and each presentation session will be chaired by a senior scholar who will also act as respondent. Costs: 200€. The fee includes conference registration, a private bedroom at Ibis Hotel Centrum close to Frankfurt central station for three nights (September 6-9) and most meals. Travel to Goethe University is not covered, and prospective attendees are encouraged to check travel costs in advance. For those who do not require overnight accommodation, the fee is 50€. Scholarship: Memory studies is an increasingly global field, and we hope to see this reflected in the composition of the participant group. We therefore encourage graduate students based at non-European institutions, particularly in the Global South, to apply for admission to the summer school. In order to facilitate their participation, Frankfurt offers one scholarship for a fully-funded place at the summer school. Awarded on the basis of both merit and need, it covers all travel expenses, hotel costs, a daily allowance, the conference fee and visa assistance. If you want to be considered for this scholarship, please indicate this in your application, include a budget estimate and disclose any other sources of funding. Submission: Submissions are open to all graduate students interested in memory studies. About half of the 24 available places are reserved for students affiliated with Mnemonics partner institutions. Appadurai, Arjun. The Social Life of Things: Commodities in Cultural Perspective. Cambridge: Cambridge UP, 1986. Bakhtin, Mikhail. The Dialogic Imagination: Four Essays. Ed. Michael Holquist. Trans. Caryl Emerson and Michael Holquist. Austin: University of Texas Press, 1981. Benjamin, Walter. “The Task of the Translator: An Introduction to the Translation of Baudelaire’s Tableaux parisiens.” 1923. Reprint. Illuminations: Essays and Reflections. Ed. Hannah Arendt. Trans. Harcourt Brace Jovanovich, Inc. New York: Harcourt, Brace & World, 1968. 69-82. Erll, Astrid and Stephanie Wodianka, eds. Film und kulturelle Erinnerung. Plurimediale Konstellationen. Berlin, Boston: De Gruyter, 2008. Rigney, Ann. The Afterlives of Walter Scott: Memory on The Move. Oxford: Oxford UP, 2012. Warburg, Aby. The Renewal of Pagan Antiquity: Contributions to the Cultural History of the European Renaissance. Los Angeles: Getty Research Institute, 1999.